2 images. 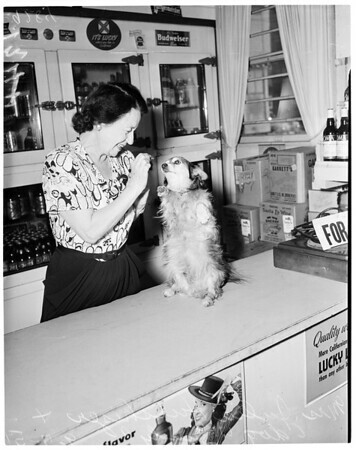 "Sandy" the brave dog, 7 September 1951. Mrs. Julia Hulshizer (owner of dog).